Are you traveling to Thailand this December? Are you a fun-loving person? Are you fond of music and dance? If yes, then you are lucky enough to be part of Wonderfruit Music Festival in Thailand. It is an international lifestyle event full of fun and frolic over games, shows, parties, talks and other indulgences. Organized at Siam Country Club in Pattaya, Wonderfruit Festival of Thailand continues for three to four days. The venue is a 40-minute drive from Bangkok’s Suvarnabhumi Airport. “Live.Love.Wonder” is the theme of this Thai event. Thailand’s Wonderfruit Festival celebrates art in different forms like artworks, performances, and fashion exhibits from across the world. World-renowned artists like Joel Dean Stockdill, Sabek, and groups like Vita Motus, Jim Thompson Art Center and Paron School of Art display their skills in their respective fields to amaze visitors. Thailand Wonderfruit Festival is a musical extravaganza across five stages. Wherever you go, you will experience a different kind of music played by DJs. With a lineup of famous music bands to entertain the audience, the place turns to be a paradise for music lovers. Music accompanies live acts on the stages. DJs from many countries including the USA, the UK and France make their presence at the festival. 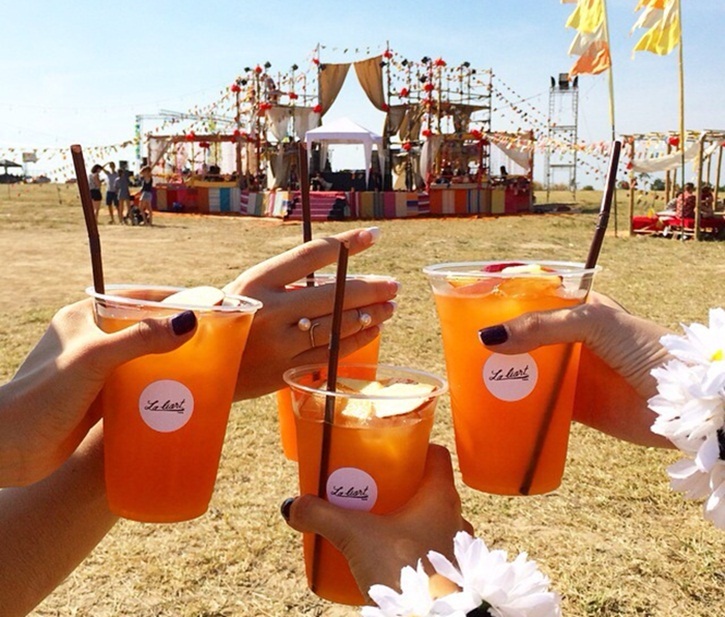 The chill out areas and drinking zones at the festival venue, have their own DJs to keep the audience engaged. Food is unique to Wonderfruit Festival in Thailand. Visitors are treated to different dishes handpicked by renowned chefs of Thailand. You can also learn how to grow fresh food directly from farmers in attendance. Restaurants like Bo.Lan, Err, and TheOysterBar serve dishes from different continental cuisines like Thai and Indian. Don’t give a miss to such a unique dining experience! Wonderfruit Festival in Thailand is full of fun activities for both kids and adults. With circus, puppetry, kite making and treasure hunting, it is a springboard of entertainment for children far away from the digital world. There is a health & wellness zone, Soothing Village, for those seeking to soothe the mind and reinvigorate the body in a peaceful atmosphere. Get treated to refreshing massages too. If fun indulgence is not your cup of tea, you can attend various talks and workshops on different subjects like yoga, meditation, painting, dance, etc. which will surely suit your somber mood during Wonderfruit Festival in Thailand. All possible topics ranging from contemporary global issues to current regional affairs are discussed in the talks. Do enrich your knowledge with differing perspectives of events by joining such talks. Adventures like microlight flights and stunt showare held under professional supervision at the festival for those who get kicks out of adventure. You can take an early-morning bike ride to enjoy beautiful sceneries or relax in one of the natural swimming pools with soothing music. Many fun games like human foosball, tug of war, etc. are on the list of programs of Wonderfruit Festival in Thailand. Unlike regular music events, which throw spells over audience till wee hours, Wonderfruit Festival of Thailand never ceases to keep people grooving to beats of music. The festive fervor does not fade with sunrise. It will commence on December 17 this year. We book cheap flights to Bangkok and Pattaya from USA throughout the year. Save Big on Flight booking at iEagle.com and earn reward points any time!